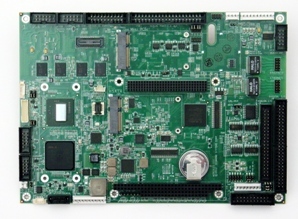 Hercules III is a high performance successor to the popular Hercules II EBX SBC. Combining processor, data acquisition, and power supply onto one board results in a thinner, lighter, more rugged, and easier to assemble embedded system. The 3-in-1 design addressed the needs of mobile and vehicle applications by offering the benefits of reduced size, weight, cost, and power consumption. Hercules III combines all of the functionality of a single board computer with a complete analog and digital data acquisition circuit into a single board, offering the most functionality available in a small, compact form factor. The advanced data acquisition circuit features autocalibration and fully jumper-less configuration for maximum accuracy and reliable performance. The 1.6GHz Intel Atom E680T CPU offers an excellent price/performance, making Hercules III an ideal choice for a wide variety of embedded computing applications. Rugged on-board SDRAM memory offers provides better protection from shock and vibration than a SO-DIMM memory module. 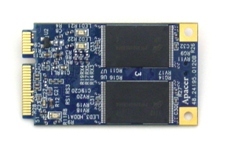 Hercules III supports 1GB or 2GB of onboard SDRAM and provides high-resolution LVDS and VGA graphics interfaces. Additional I/O ports include SATA, CANbus, USB, serial, digital I/O, and Gigabit Ethernet. Flexible system expansion is based on stackable PC/104-Plus (ISA + PCI) modules. mSATA, PCIe MiniCard, and GPS modem sockets are provided for optional on-board storage and I/O. Hercules III was designed with rugged applications in mind. From an operating temperature of -40°C to +85°C, the on-board rugged SDRAM, and its high tolerance for shock and vibration, Hercules III thrives in the most extreme environments. Hercules III contains an on-board DC/DC power supply with 55 watts of output power. With approximately up to 20W required to power a fully loaded SBC, this leaves 35W available to power peripherals and add-on boards. The input range of +7-40VDC means that Hercules III is compatible with vehicle, battery, or industrial power sources and can be used in a wide range of applications without requiring a separate add-on supply. The on-board supply features ACPI compatibility for intelligent power management. Hercules III includes a complete autocalibrating jumper-less analog and digital I/O circuit equivalent to our top-of-the-line PC/104 board. It contains 32 analog inputs with 16-bit resolution and 250KHz sample rate, backed by a 2K-sample FIFO with programmable threshold. Programmable input ranges from a wide-range +/-10V down to 0-1.25V are provided. The analog circuitry also includes 4 D/A channels with 12-bit resolution and jumperless output range selection and simultaneous update capability. On the digital side, in addition to the standard 40 digital I/O lines with programmable direction, Hercules III's DAQ circuit adds two counter/timers for A/D sample rate control, pulse counting, frequency generation, or other applications. Its advanced control logic has more features and flexibility to fit almost any application, such as internal/external A/D clock source, scan and single-sample modes, and our exclusive programmable FIFO threshold that lets you tune the board's performance to your application. Also four independent programmable Pulse-Width Modulation outputs (PWM) are available to users. The data acquisition circuit is fully supported by our Universal Driver software for a wide range of operating systems. The Hercules III data acquisition circuitry is identical to that of Hercules II, preserving backward compatibility. Hercules III hardware development kits are available with everything you need to get started on your Hercules III embedded design project. The kit contains a Hercules III SBC with data acquisition, a 16GB mSATA flashdisk module pre-loaded with Windows 7, Windows CE or Linux, a cable kit, AC power adapter, and software CD. There are also software development kits available for Linux (SDK-HRCE-A-LNX), Windows CE (SDK-HRCE-A-WCE), and Windows Embedded 7 (SDK-HRCE-A-WE7) that include a 16GB mSATA flashdisk with the operating system pre-loaded. 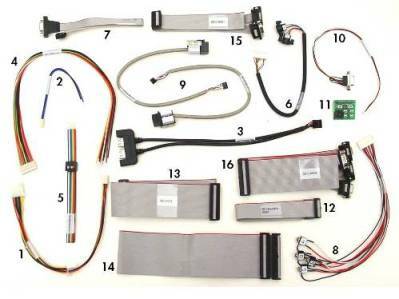 The Hercules III cable kit includes cables for most of the on-board I/O. A cable kit is strongly recommended for first-time buyers, as many cables are non-standard. All cables are also available individually. Once you know which cables your application requires, you can save money on future orders by purchasing only the ones you need. The AC adapter provides a convenient way to power your embedded SBC during development or demos. It contains the proper connector for direct connection to the SBC. Each order ships with the correct power cord for the country for the country of destination. Note: We strongly recommend purchasing proper cabling, available in the cable kit and development kit, for initial orders of the Hercules III.